We recently undertook a termite baiting treatment in Wynnum/Manly. 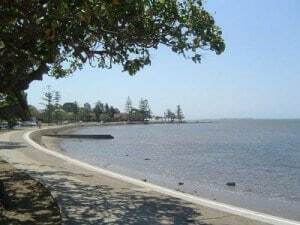 The neighbouring suburbs of Wynnum and Manly are located on the shores of Moreton Bay, just south of the Brisbane River. We were faced with a very difficult structure to treat due to the split level foundations in the building. 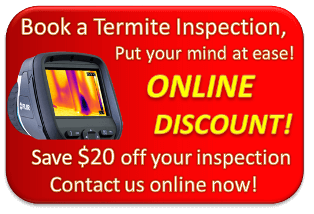 Termite Guys Brisbane were instructed to carry out a full inspection of the property. It was clear from the beginning that the more common chemical barrier method of control would not be suitable to control the problem because of the unusual design. The more aggressive species of termite coptotermes acinaciformis was identified in several places throughout the home. We recommended that Termite baits be installed around in the problem areas to try to kill the nest directly. We had a great result! 2 weeks later we had returned to the property to top up the baits followed by several more visits over about 2 1/2 months. On a small budget we were able to eradicate the problem and have since returned to the property 12 months after the treatment. Still no termites. In some cases Termite Baiting can take many months which is why it is not our preferred method of control. However depending on the species of termite and the situation, Termite Baiting can be an ideal colony control method. I don’t believe Termite Baiting is the most suitable choice for every Termite infestation.